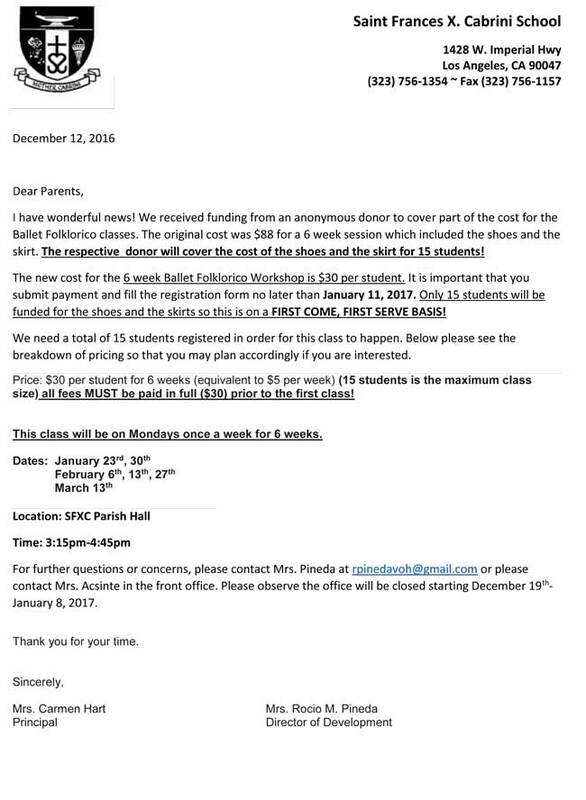 Saint Frances X. Cabrini School is pleased to offer a new extra-curricular programs to the students, Ballet Foklorico 6 Week Workshop. The instructor is Faviel Plascencia who is an apprentice teacher who has been studying under the direction of Ms. Esperanza Flores for 17 years. He comes to us with a wealth of knowledge and experience. Mr. Plascencia is eager to begin working with our students. 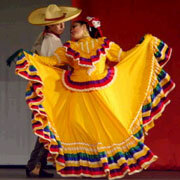 When he is not teaching you can find him performing with the Esperanza Flores Foklorico Dance group, Inc.
Due to a generosity of a donor, we have been able to reduce the cost of the Ballet Folklorico Workshop to $30/student. There are limited spaces available and registration is on a first-come-first-serve basis! Don’t miss this great opportunity for your child! Click here to view/print a PDF of the registration form.